The Maserati 250F was the car that Juan Manuel Fangio drove to victory in the 1957 World Championship. 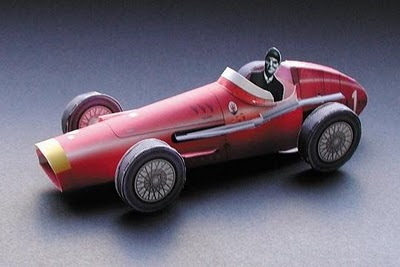 This paper model of the race car was created by Grand Prix enthusiast Paul Cheard using Adobe Illustrator. Cheard estimates that the ten piece model takes about 3 to 4 hours to build. A free download of the template is available here. Sometimes simple papercraft can be the most fun to build. This paper toy sea serpent by artist Laura Schlipf gets my vote in the fun-to-build category. Despite being Laura's first papercraft design, she has added some creative touches like including an extra page of "humps" in the template which may be printed out as many times as desired to make (as she puts it) a serpent that is "reeeally long". The three pages of the template may be found here. Alan Moore is the UK comic book writer who brought us Watchmen, The League of Extraordinary Gentlemen and V for Vendetta. 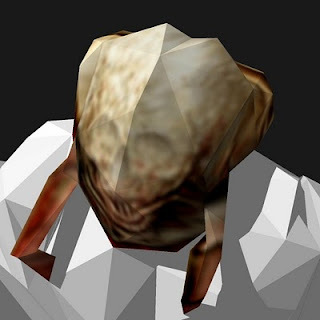 Despite his excellent writing abilities, I always thought Moore's looks were a little creepy. These paper toys turn up the creep factor a notch by adding glowing red eyes to the mix. 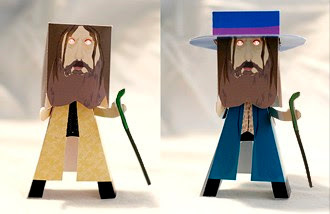 Both these toys are available from Mustard comedy magazine as part of their paper toy series of celebrities who have appeared on the cover of the magazine. A download the PDF templates is here. 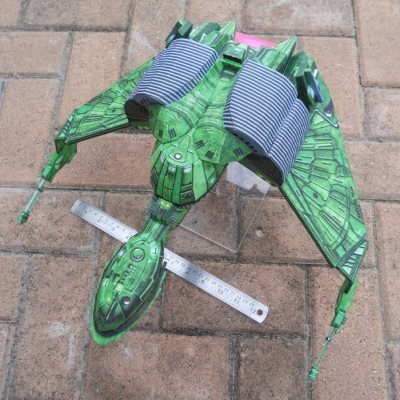 These hover tank paper models were intended to be used with science fiction themed tabletop wargaming, but I think they are they are kinda cute in and of themselves. 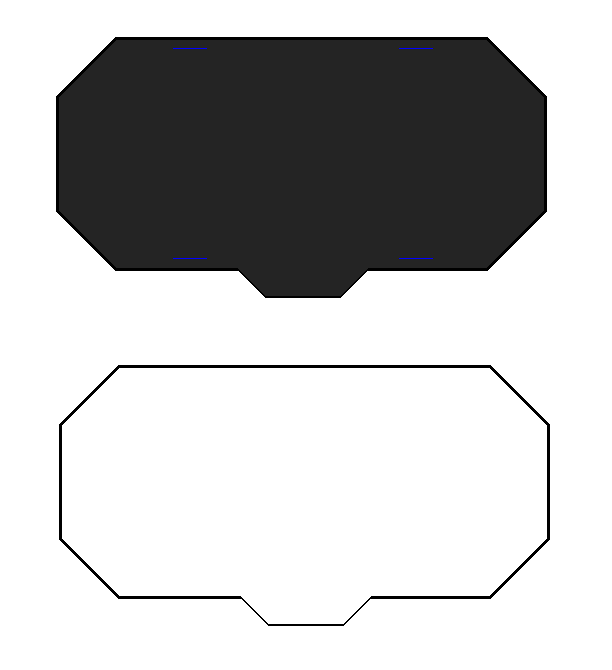 Since the scale of the models is 15mm (1:120), the template for one tank is small enough to fit on a single sheet of paper. Each of these tanks was designed by UK miniature gamer Jermey Claridge and may be download from his website here. 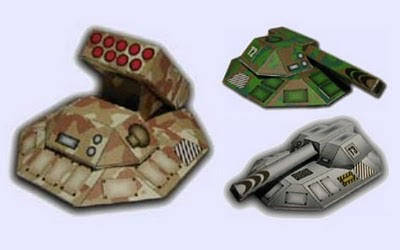 There are three other tank models available in addition to the three pictured above. Also, each of the tanks may be built with either a plain metal, desert camo, or woodland camo color scheme. 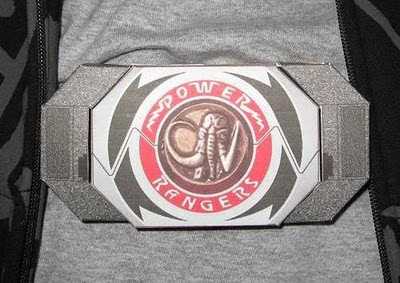 It has been a very, very long time since I have watched an episode of Mighty Morphin Power Rangers, but I do remember the power morpher belt buckles they had with the dino power coins. "It's morphin time! Mastodon!" A member of the Rangerboard forum known as "TheGreenRanger" has created this papercraft version of the dino buckler morpher. 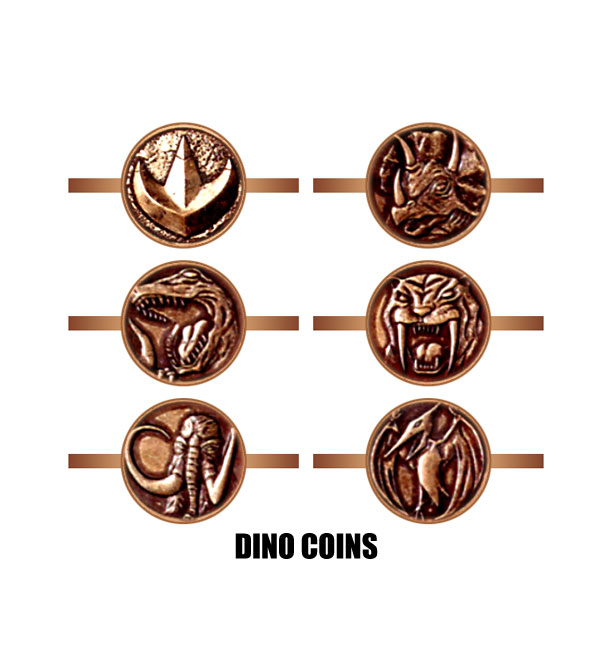 The template for the buckler includes all six dino coins so you can build whatever version you wish. 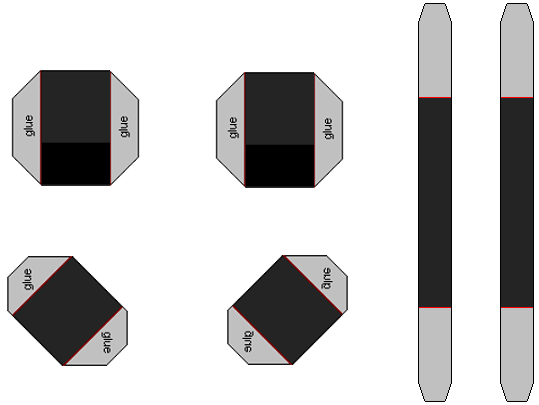 The five parts of the template are here: 1, 2, 3, 4, 5. There are very few gluing tabs and no instructions, so you are on your own when it comes to assembling it. One final note: unlike the photo which is a template customization by "Robo_117", the original template is labeled "Zyuranger" after the Japanese version of the show. UK paper model designer Pete Watson has a passion for British road and rail transport models. His website offers dozens of 00 scale trams, buses and commercial vehicle models. 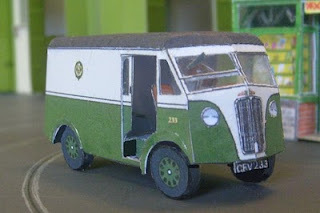 One of the free models he offers is this Morris Commercial Light Van. The time period for this delivery van is not mentioned, but my guess is that it was used in the 1950's. 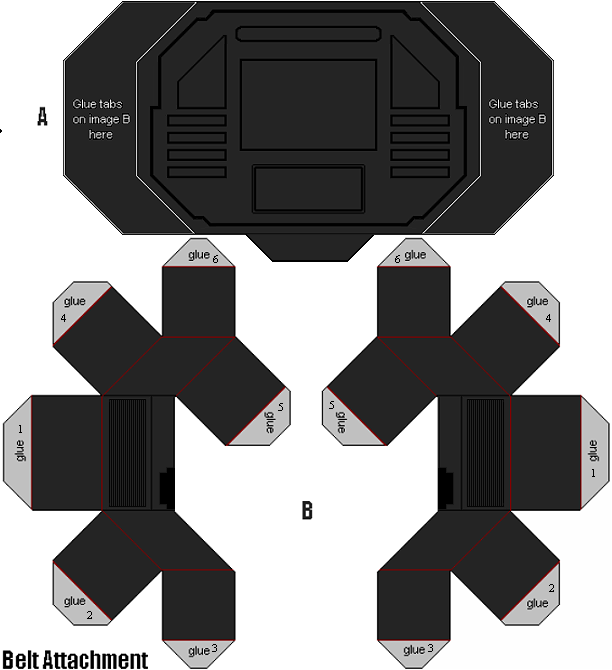 A download of the van template is available here. The 2008 Iron Man movie has inspired a lot of great papercraft and here is another one to add to the list. This full size Iron Man helmet was created by a Texas papercrafter known online only as "DungBeetle". 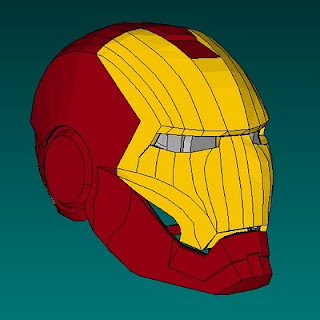 In addition to this movie accurate helmet, DungBeetle is also working on some 1:1 scale armor, but as of yet the helmet is the only piece to which color has been added. A free download of the helmet is available here. The download includes both PDF and Pepakura PDO templates. These cute papercraft birds may not look like dice at first glance, but in the lower right corner of each face there is a small number. The bird dice come complete with a nifty carrying case with a hinged lid. The templates for these are available here at a Japanese website called "Mongo Village". If I knew Japanese I could tell you more, but it appears these birds are characters that live on an imaginary island. What do you get when you cross the Star Wars characters Darth Maul and R2 D2? Uh... Darth D2? It is perhaps not the best designed R2 unit papercraft around, but the idea behind it is pretty amusing nonetheless. 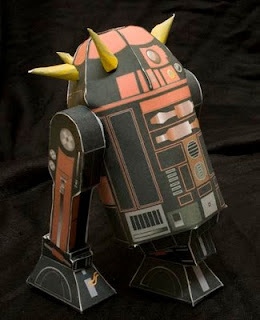 Kim Lang, who designed this Sith droid in 2009 also designed a normal R2D2 papercraft to be its companion. Both templates may be found here on Lang's website, 365characters.net. Lang's goal in starting 365characters was to create one fictional character or creature every day for a year. The project is scheduled to be completed in May 2010.